The #UnitedStates tightens the screws on the #Palestinians – forcing them to accept Jerusalem as the capital of Israel. The UNITED STATES State Department has decided to strong arm the Palestinians by ordering a freeze on all their bank accounts in the country. 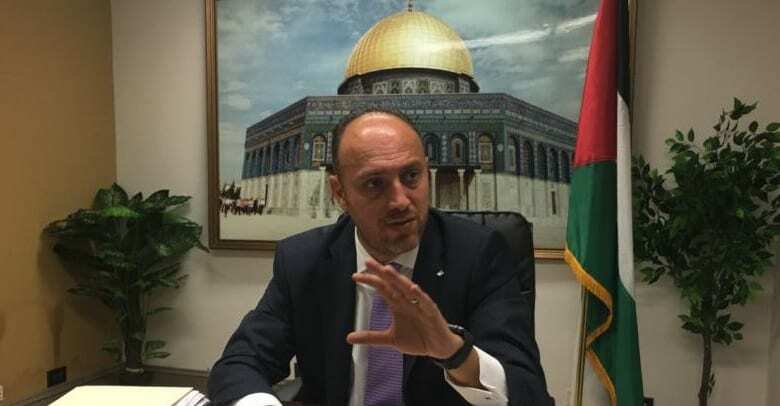 Additionally, the US administration has revoked the residency permits and closed the bank accounts of the Palestine Liberation Organization’s (PLO) representative to the United States, Husam Zomlot, as well as those of his family. In an aggressive move the PLO Ambassador Zomlot’s son aged 7, who is in second grade, and daughter Alma, 5, who is in kindergarten were pulled out of school in Washington DC last week and have since left the country. The move comes a week after the White House ramps up the pressure on the PLO to negotiate with Israel following all the US embassy move to Jerusalem. Last week the US announced the closure of the PLO office in Washington. The Palestinians have refused to negotiate with Israel, since the United States recognized Jerusalem as the capital of Israel and additionally was the first country relocate its embassy there. A move which was condemned by the International community. Returning to the negotiating table would imply the Palestinians would accept that Jerusalem is the Capital of Israel, something they refuse to do. Employees of the mission were ordered to cease all operations and given until October 13 to vacate the premises. Earlier this month Trump also told a group of rabbis and Jewish leaders ahead of the new year festival of Rosh Hashanah that the US would not renew its aid transfer of funds to the Palestinians until they agreed to come to the negotiating table with Israel to end the decades-long conflict.